As a former owner of the Verizon Center, the Capital Centre, the Wizards, the Capitals, and the Mystics, I have some thoughts, comments, ideas, and opinions, that I thought you might like to know. What is it like to be an “owner?” How do you feel when your team loses especially to a team that is not as good as yours? How do you feel when you win especially when the team is better than yours? Since I sold these enterprises last year, I realize now the difference in perspective of a fan and an owner. I was an owner for so long, forty-six years; I had forgotten how fans feel. But recently, I have observed how involved fans are in the ups and downs of their teams — and differently than the owners. How many fans will be sitting in the seats? How many fans will be rooting for the other team? Is this player ready to come back after his injury? How good is the food in the stands? Just about everything except the game itself. Now, I am sure that my husband, Abe, had different thoughts; I’m just giving you mine. When the players come out on the floor to begin stretching and shooting, I am looking for any one missing and then wondering why, hoping he is just late and will be coming out. I am watching the players on the other team come over and hug some of our guys and remembering that they are all part of “big family.” They have played together on several teams and are good friends. But, then they get out on the floor and never hesitate to crash into each other if necessary to get the ball up court. These are just some of my thoughts; lots more. It has been a wonderful experience being a part of that world; professional sports. And, a woman in a “man’s” world. Last week, I attended a dinner here in Washington honoring two wonderful women; each of whom has made an enormous contribution to the health of women worldwide. One is Dr. Vivian Pinn, the former and original head of the Office of Women’s Health at the National Institute of Health and Dr. Noel Bairey-Merz, head of Women’s Cardiology at Cedars Sinai Hospital in Los Angeles. 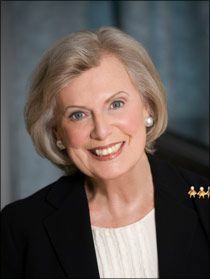 I have been involved in women’s health since I myself was on the Board of the National Cancer Institute at NIH in the late 1980″s. At that time, I created NBA Wives Save Lives with Connie Unseld, wife of Wes Unseld, an all-star basketball player. The reason I created it was that the Cancer organizations were having difficulty reaching African-American women. I told a colleague I knew how to reach them and we had a wonderful all-day meeting of representatives of player’s wives from every NBA team on NIH campus. We had every team flag flying across the large room filled with bright, excited, women eager to go home to spread the word. Again, in 1999, I discovered that heart disease is the number one killer of women. I was stunned to discover that. I was a psychiatric social worker who specialized in chronic illness and I didn’t know that. If I didn’t know that, who did? 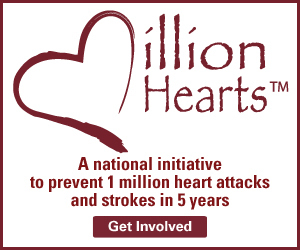 Again, I was challenged and with the help of two great sponsors, created the first woman’s heart disease campaign which then led to the Heart Truth campaign at NIH. We had a fun health fair and 2,000 women showed up in a major snow storm. Secretary of Health Thompson created National Woman’s Heart Day and we grew to seventeen cities. We have since screened over 100,000 women free and had over 250,000 women attend. I believe when you reach one woman you reach a large circle of people! We are now able to reach a woman anywhere in the world. Last week, I spoke to the Minister of Health in Fiji who was on our web-site as we spoke! Incredible! Stay in touch! Lots more happening! Visit http://www.sistertosister.org/ for much more information on women’s health. I think when you write blogs you are not supposed to over analyze and “think” too much. But here I go again, I think. When I first decided to write a memoir, I wondered what part of my life would be interesting; to women, to men. Women might want to know about how I managed two very sick young children, how I went into a mental health profession at age forty, how I became a half-owner of an NBA professional basketball team, managed a long-term marriage. Men might like behind the scenes stories in professional sports, how owners and coaches make decisions, deal with players, build new arenas….. Both might wonder how we ever got into these activities in the first place. Well, here I go! A Wonderful Way to Assess Your Heart Health! This is an extremely important program and a wonderful tool to help you stay healthy. 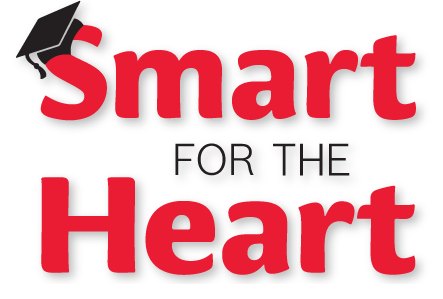 Take a minute to register and use Smart for the Heart! It’s a free online Heart Risk Assessment and easy to use! Thanks to Sister to Sister and Brigham and Women’s Hospital for developing this project. Click here to get started: Heart Risk Assessment | Sister to Sister. Sister to Sister Partners in Million Hearts Initiative | Sister to Sister.